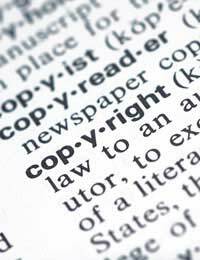 The Copyrights, Designs and Patents Act 1988 is a piece of government legislation which allows those people who are inventors, writers, musicians, or film makers to protect their work from plagiarism or theft of their ideas. Copyright is the right of an individual to use their work - be it music, literature or an invention - exclusively for their own ends whilst protecting it from misuse by others. How does the Copyrights, Designs and Patents Act 1988 work? If you are an inventor, writer, musician, or film maker then you will want to protect your work and insure that you are adequately reimbursed for its use in a variety of different circumstances. If - for example - you have invented a piece of equipment then you will want to insure that the item is patented so that it can not be manufactured by any other individual or company without your express permission and without an agreed contract being put in place. This is designed to prevent problems of a legal nature as things progress and is also designed to ensure that the person responsible for the invention is allocated a fair and equal share of any profits made from the sale, rent, or display of such a product. The Intellectual Property is the idea of an invention, book, film or album. The idea of Intellectual Property is a simple but effective one and ensures that not only have you made sufficient copyright to protect your invention but also to ensure the ideas behind it. This is particularly important if you find yourself in a case where there is more than one of you claiming to have invented the same item. The laws of Intellectual Property allow you to present your ideas, suggestions and designs which may not have been used as evidence that you were responsible for the production of the invention - and indeed - responsible for the idea that someone else has plagiarised. A Patent is the copyright over an invention that is going to go into product. The idea behind Patents is that once a design has been patented it cannot be reproduced by any other individual or organisation without your prior approval and without a contract being entered into to ensure that you - or your company - are shown the correct amount of recompense for your work. It is also worth noting that another individual can take your design, perhaps adds an additional feature and decides to market it; they can on the condition they ask for the original patent holder's permission. In reality what this equates to is the remodeling of an original design and the manufacture of said design in conjunction with the patent holder's production team. It is important to mention that there are many thousands of patents pending at any one time and if you have an idea which you wish to copyright or patent you should first look into whether or not such an idea has already been patented. You can do this by contacting the British Library who have a specific patents department where a list of all patents and copyrights are kept and they will be able to help you with your enquiry.